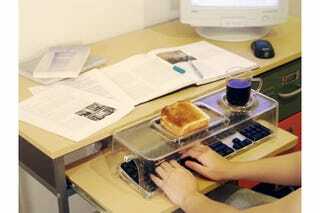 The tray offers a places for a sandwich and a mug, as well as holes below for your hands to actually type. A plate? Bah! Who needs a plate? What are we, cave men?